This survey depicts the opinions of respondents in the U.S., aged 40 years and older, on the need of care for an aging family member or close friend in the next five years. 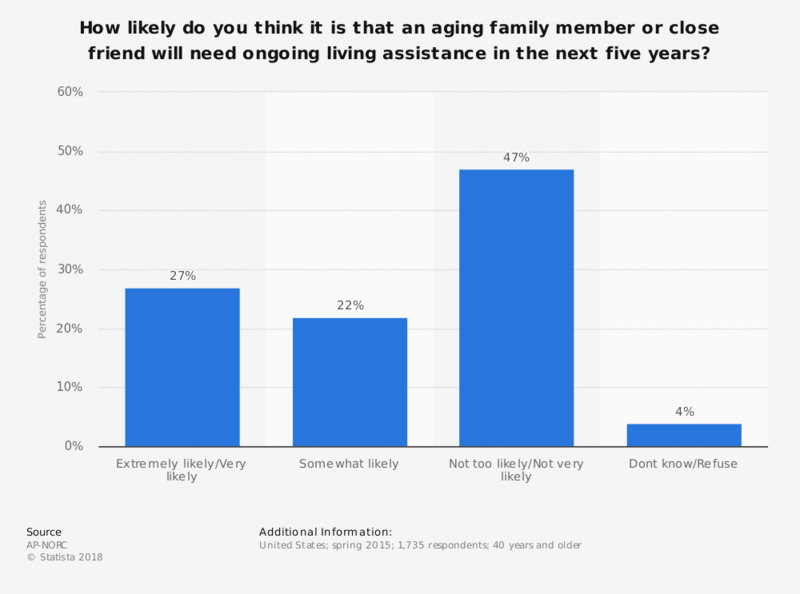 The survey shows that 47 percent of respondents believed that its not too likely that any of their family members or close friends would need ongoing living assistance within the next five years. Original question: "How likely do you think it is that an aging family member or close friend will need ongoing living assistance in the next five years?" In your opinion, at what age does old age begin?